One of the main reasons why I love traveling is to learn and experience different cultures. I am simply fascinated by how different cultures view the world through their own unique lens. For example, the notion of beauty usually varies throughout cultures. For the Long Neck Karen people, the ideal of beauty is an elongated neck. Traditionally, from an early age of 2 to 5, young girls will begin wearing brass rings around their necks. Every 5 years, more rings are added. The weight of the rings pushes the collar bone down and compresses the rib cage making the neck appear longer. It is believed that women with long necks are more beautiful and thus likely to attract husbands. 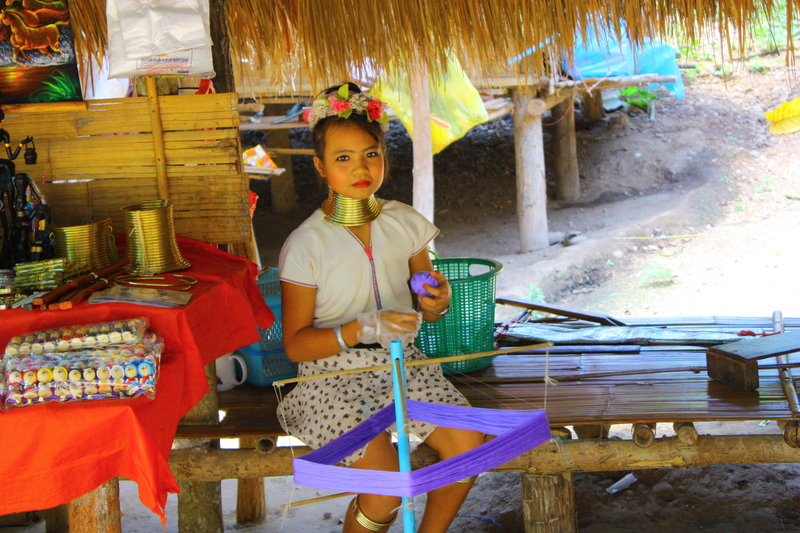 The Long Neck Karen, who are also known as the Padaung, belong to a sub-group of the Karen people. Although their home is Myanmar, many have left their villages in hopes of finding a better life in Thailand. For over a decade, I have wanted to meet the Long Necks. I had been extremely intrigued by their culture after watching a documentary about them on National Geographic. This dream came true recently, when Jason and I decided to visit the Long Neck Karen village near Chiang Mai, Thailand. Watch this video to follow our journey into the Long Neck Karen village. It was a truly memorable experience!